Tabbed browsing has existed with all the popular browsers for quite some time now. True Tabbed browsing was introduced in Safari with iOS 5 where you could use the feature with your iPad. iCloud tabs came along in the next iOS version. 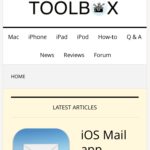 These days Safari on your iPhone takes tabbed browsing to a new dimension and there are a lot of great Safari tricks and switch tabs gestures for your iPhone and all your iDevices! 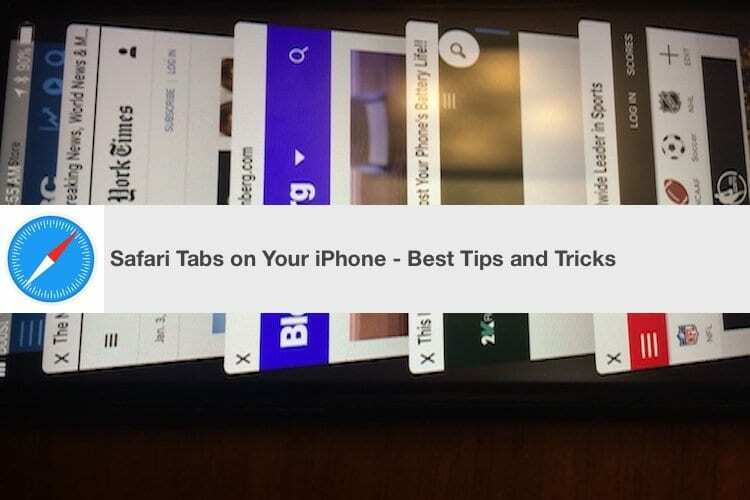 This article highlights our top Safari tab tips that you can start using now on your iPhone. 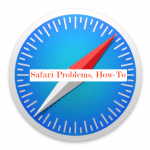 The Three Rs of Effective Safari Tab Management: Re-order, Restore and Remote Access. 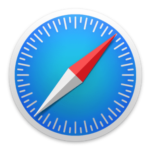 6 How-To Open New Safari Tab using Long Press. It is normal for many ifolks to use multiple tabs while researching in Safari. While browsing, many users would like to use a particular order to organize their opened tabs. Re-ordering the tabs on your idevice is easy. Tap on the tab view button. Long press on a tab and then drag it to your desired position. You need to be in landscape mode on your iPhone to do this effectively. The landscape mode in Safari also shows you the Search bar at the top that you can use to search for a particular tab that you may have had opened. On the Portrait mode in Safari, the search button is not immediately visible. You will need to swipe down at the top to reveal the Search Tab functionality. Have you ever wondered how you could go back in time and reopen the tabs that you were working with. 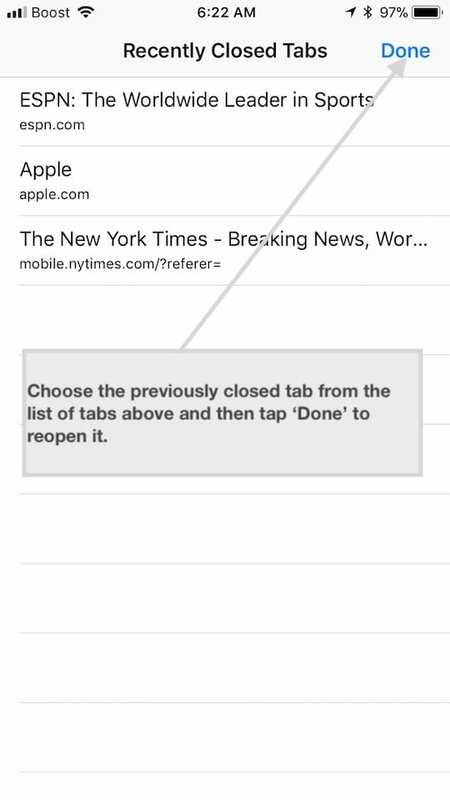 Safari on iOS provides you the option to restore previously closed tabs. This tip comes in handy when you accidentally close a set of tabs and want to get them back. Start by tapping on tab view button (bottom right corner on your iPhone). Next, hold down the ‘+” icon on the middle of the screen (top right of the screen if you are in landscape mode) and you will see a list of previously closed tabs under the heading of ‘Recently Closed Tabs’. Choose the one that you want and tap on ‘Done’, it will open up as a new tab on Safari. 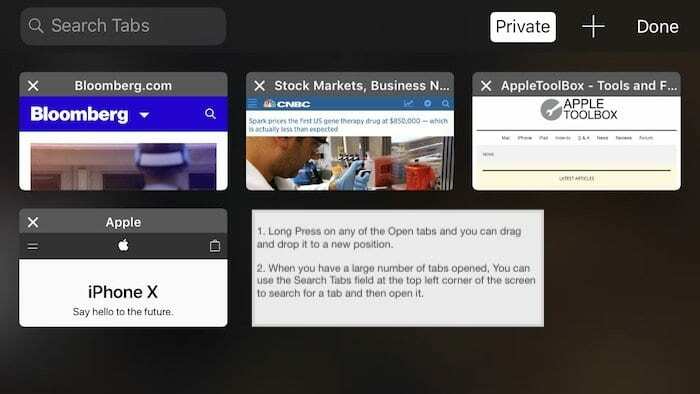 If you were browsing in ‘Private’ mode, this will not show up any of the tabs as Safari doesnt keep track of details when you are browsing in Private mode. This tip comes in handy if you were working on your iPad or Mac and forgot to close the session. Well, there is a way you can remotely close the Safari tabs using your iPhone. 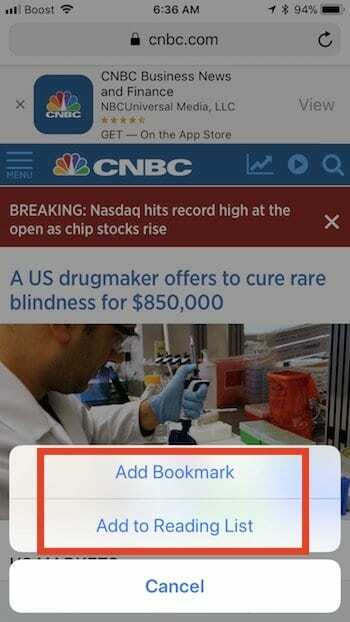 Tap on the tab view button to bring up the list of tabs on your iPhone. Locate the tab that you want remotely close. Slide left across the tab that you want to close and select ‘Close’. 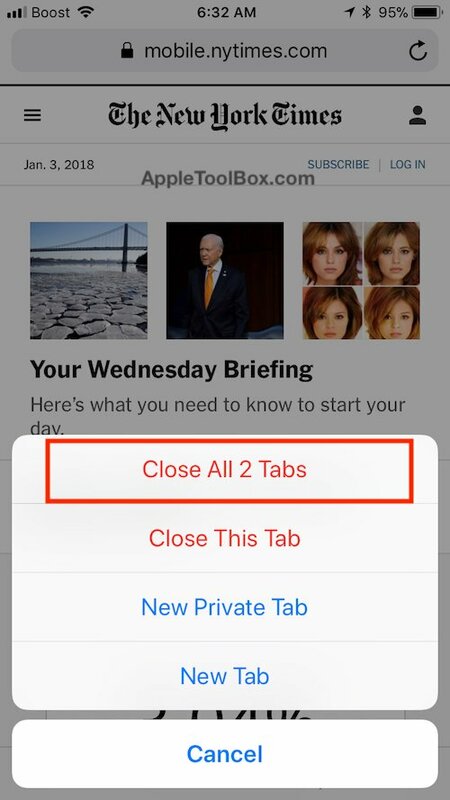 Once you choose the ‘Close’ option the opened Safari tab on your Mac or iPad will instantly be shut down and you no longer have to worry about your privacy. This tip does require that you are syncing your Safari via iCloud on your Apple devices. Give these three tips a try so that when you need them next time, it will come in handy. The long press gesture is a thing of beauty on the iPhone. 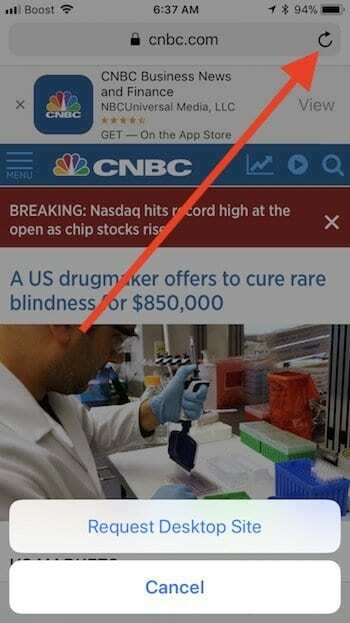 You can use it for both opening and closing tabs without needing to tap on the “+” icon. Many users never go about closing their tabs. In the early days of Safari on iOS, you were limited to only 9 tabs. Now you can open up as many tabs as you like. If you ever wanted to close all the opened Safari tabs, you don’t need to painstakingly do it one by one. In order to close all the opened tabs in one shot, simply long press on the tab button on your browser and choose ‘Close tabs’. This will immediately shut down all the opened tabs. If you have many tabs open and are not using them, shutting down these can speed up your Safari experience. 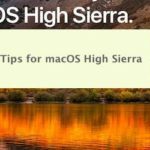 How-To Open New Safari Tab using Long Press. Opening new tabs can also be accomplished via the long press gesture in Safari. No need for you to tap the button and then choose “+”. Just long press and choose ‘New Tab’ from the options as shown in the picture above. 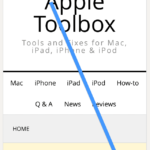 There are two other long press gestures that are useful in Safari. In the browsing view, when you long press the book icon, you will get the options for either adding the page to your reading list or adding it to your bookmarks. Similarly, when you long press on the ‘Refresh’ button on the right corner of Safari search bar on the top, you will find the option to request a Desktop site for the page you are browsing. A good way to preview a web page when you are browsing the tabs is to 3D Touch/Long press a tab. It will show you the preview without you having to open the tab on your browser. Press it for a few seconds more and it will open the tab in your browser. This also works when you get a web page link on your email. 3D Touch the link to quickly preview the contents before you decide to open the link. On the iPhone X, You can now enable ‘Show Tab Bar’ in your Safari Settings. Its not very clear what this new setting actually does as of now. We can only speculate that Apple is going to release additional tab features when it upgrades iOS. What are some of your favorite Safari tips and tricks that you use consistently on your iPhone?